Hey, hey! Happy hump day! I hope your week has gotten off to a great start so far. Are you all decorated for Christmas yet? I’m almost there, just a few finishing touches on a couple things. Which, is a problem considering I’ll be doing a Christmas Home Tour here next week. I better get crackin’! 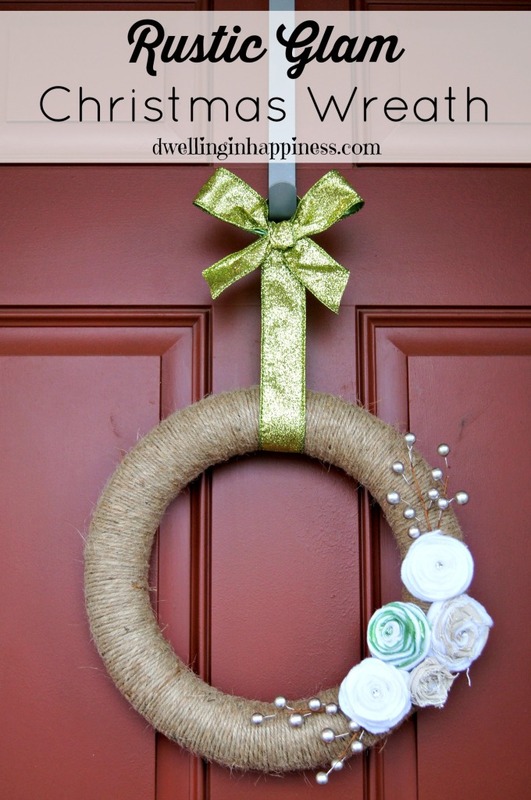 Today I’ll be sharing a simple rustic glam Christmas wreath for your door! It’s not really that “Christmas-ey” either, so it really could be used for all of the winter months, too! A couple of years ago I made a yarn wrapped wreath for Christmas that I am totally in love with, but it’s starting to fade and not look so great anymore. It was definitely time for a new one! But instead of using yarn this time, I thought I would try twine. The result is just what I was hoping for! Any embellishments you want to add! 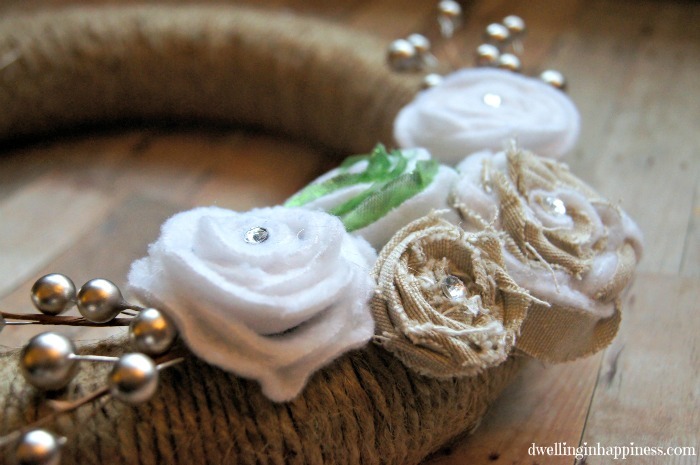 Once the twine was all glued and secured around the wreath, I got to work on the flowers. I know the directions on how to make them is pinned a billion times on Pinterest, but to make it easier on you, I have the visual directions for you below. 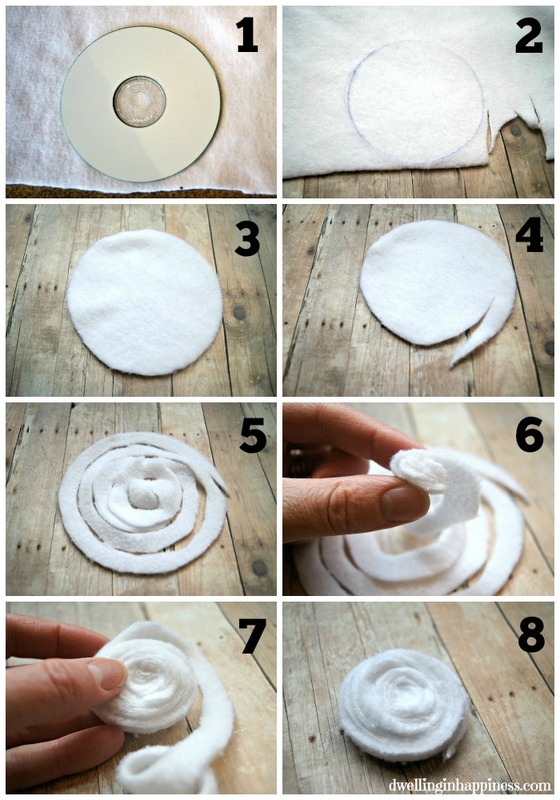 Use a CD (or something round that is bigger or smaller depending on the size you want your flowers!) to trace on your fabric. Cut out your circle. Cut into your circle and keep cutting around until you’ve cut all the way to the middle; it will make a spiral. I start rolling my flowers from the center, but you could also start from the outside. Start rolling the fabric around itself. Keep rolling until you have your flower how you like it. Add a little dab of hot glue to glue down the end, and you’re done! Easy peasy! I made 5 different flowers for my wreath. I used white fleece fabric because that’s what I had on hand, but felt works even better. I also had some linen material that I used to make one flower, as well as some green tulle that I added in with the fleece for another. It was fun to experiment with the different materials to see how it turned out! To add some “glam,” I also glued a little rhinestone in the middle of each flower. 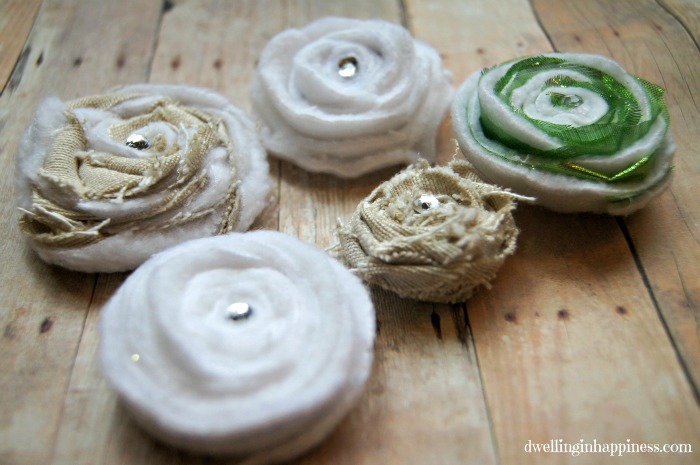 I glued on some pretty silver ball embellishments on either side, and then glued on the flowers between them. I attached some pretty glittery green ribbon for hanging, and put her on my door! 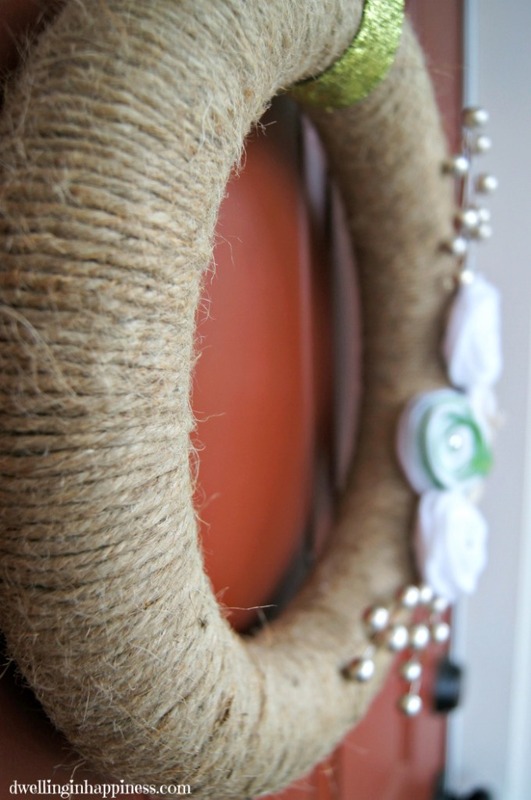 It’s the perfect rustic wreath with just a touch of glam; just what I had envisioned! I’m totally loving it on my front door! 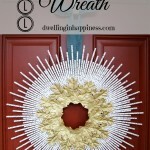 Do you make a Christmas wreath for your door? What does yours look like? SO sweet Amanda!!! LOVE those pretty little flowers!!! Thank you, Kristi!! The flowers are my favorite!! 🙂 Hope you’re having a great day so far! Amanda this turned out great!! I love it!! 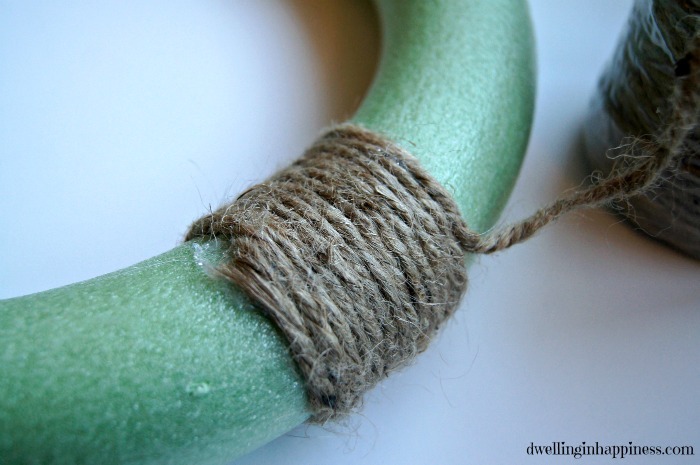 Do you know about how much twine you used? Thank you, Sydney!! I used almost a whole roll, which I bought at Walmart. I know that’s vague, I’m sorry! I bought two big rolls thinking I’d need to dip into the second one, but I didn’t need it at all! it’ll depend on how thick your twine is, too. 🙂 Hope you’re having a great week! Thank you, friend!! Ah I LOVE rosettes. I want to make them for everything! 🙂 Can’t wait to see what you’re working on! So pretty, Amanda! 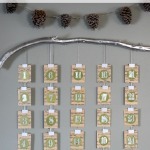 I love that you paired something rustic like twine with rhinestones and sparkly ribbon. They all balance each other perfectly! This wreath is so pretty Amanda! Love the assortment of different flowers! And like you said, perfect for all winter! So cute! Love the flowers! 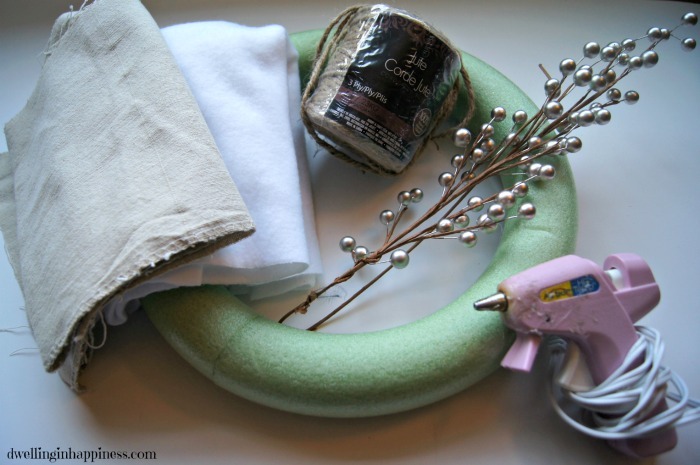 I am hoping to make a wreath this weekend, thanks for the inspiration! Alissa recently posted…Winter Time! Dry, Flaky Skin…. 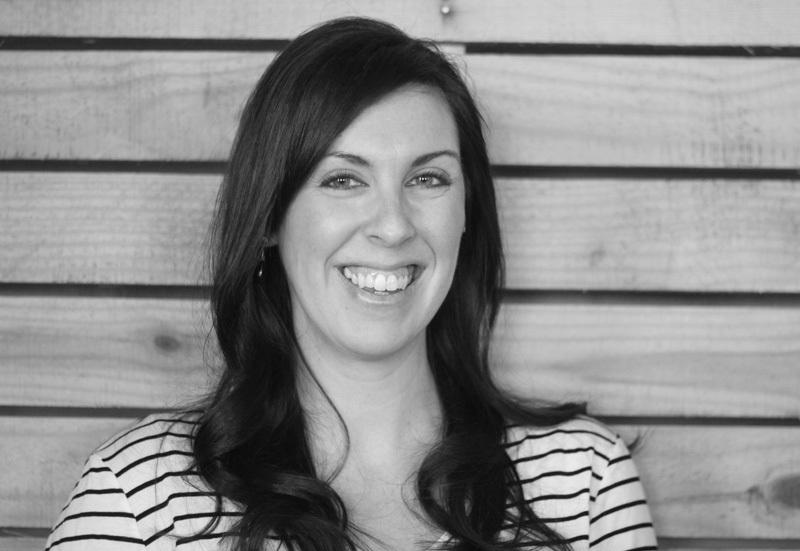 Thank you, Alissa!! 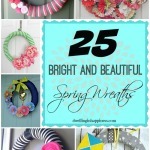 So glad I could help inspire, have fun making a wreath! 🙂 Hope you have a great day! Really pretty and I love that it is a wreath that you can keep up all year. 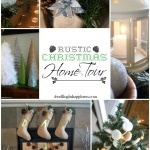 Thanks for linking up to On Display Thursday. 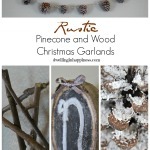 Rebecca recently posted…A Favorite Christmas Cookie Recipe! Thanks, Rebecca! It really is super easy to make! 🙂 Hope you’re having a great week! Super cute Wreath! You reminded me I forgot to hang my wreath, I will go do that now!! Hey there! 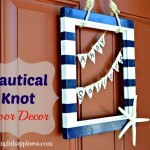 Thanks for linking up to the Weekend Wind Down Link party last week! 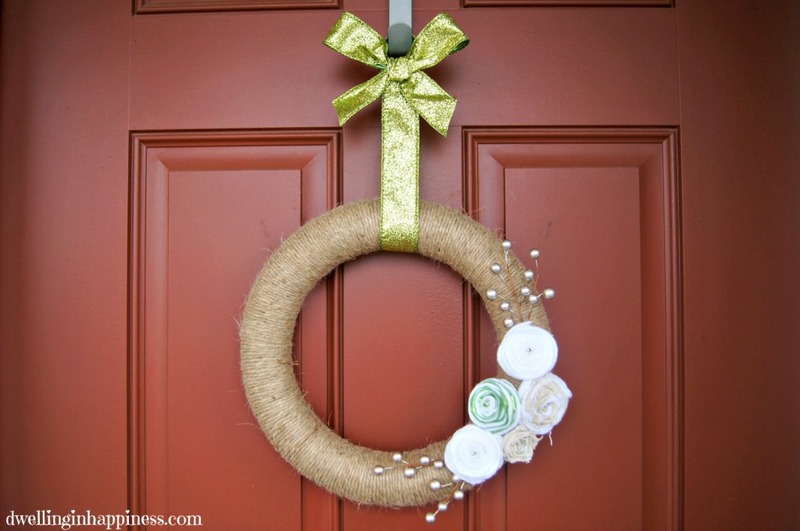 We loved this wreath – so simple and pretty! We are featuring this at our party tonight! Hope this makes your day! Thank you! Hope you’re having a fab weekend!